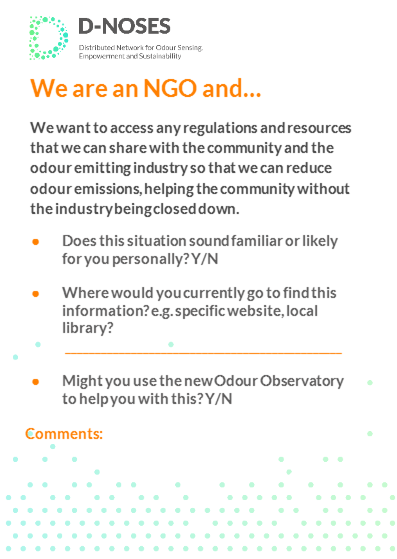 The International Odour Observatory is the first platform co-created by a wide range of stakeholders with the aim to put odour pollution on the map. 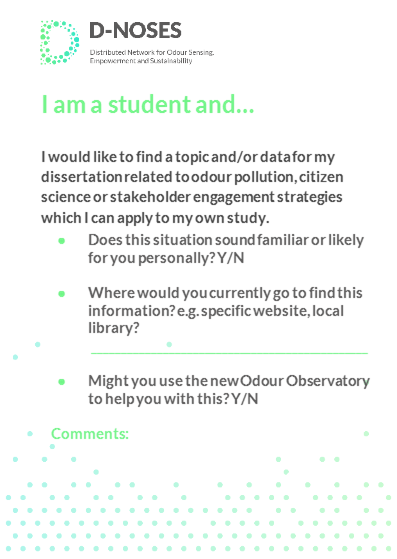 Our odour experts are currently working on the scientific contents, while our engagement experts are developing the engagement framework and the usability of the platform. 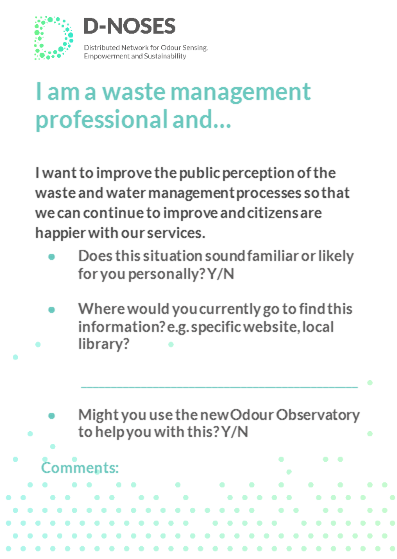 The Observatory will become a one-stop-shop for all stakeholders that would like to be involved in participatory odour management activities in their own area. The platform will help communities and other stakeholders with step by step guides, educational and communication material to engage with others. 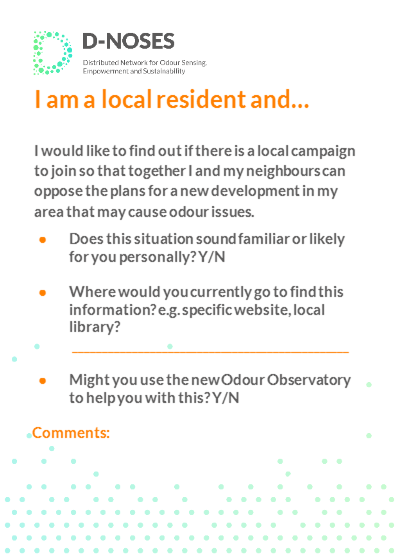 The site will allow users to start mapping odours affecting their communities and find information on existing odour regulations worldwide. Do you want to help? 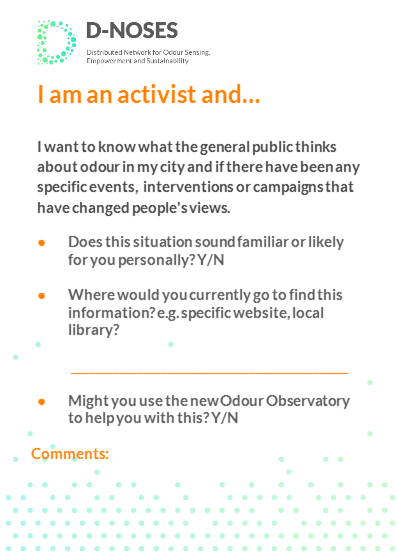 Co-create the Odour Observatory by sharing your User Stories with us. 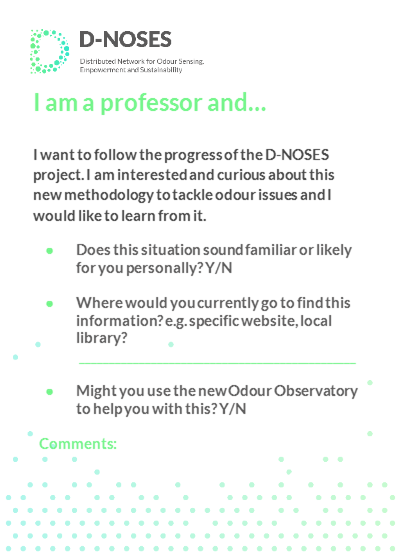 Take a look at the cards below, and then email us at userstory@dnoses.eu with your input. 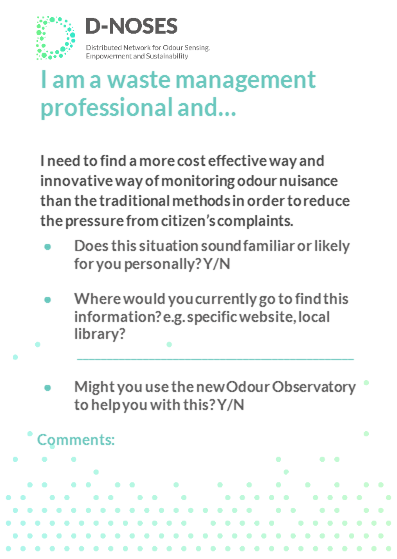 The platform will be supported by our Odour Collect App, now in its second version, which will help to create collaborative maps of real-time odour observations. 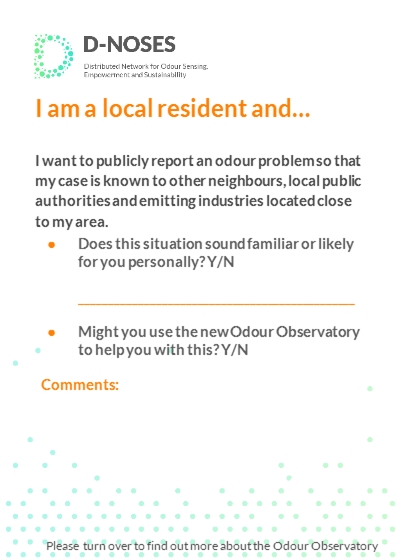 The app makes it easy to report odours that residents come across in their daily lives, across their community, and co-create maps of issues their local area. 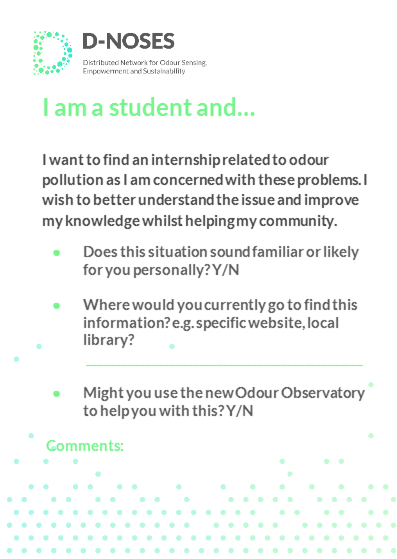 Identifying odours and their sources can be a difficult task, given the many variations of odours that can be emitted from any one source. 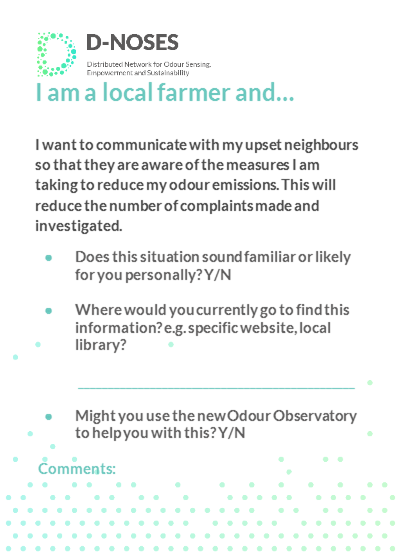 This is why normally odour studies are conducted by trained experts. 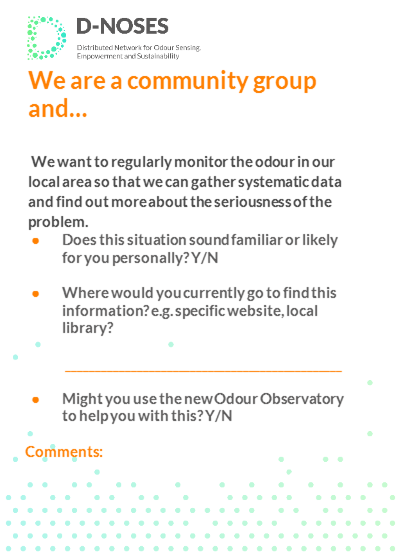 But Odour Collect only requires users to rate the registered odours on their hedonic tone (is it a pleasant or unpleasant smell), and their intensity. This apparent simplicity hides the complexity of the validation and back tracing process in the background. 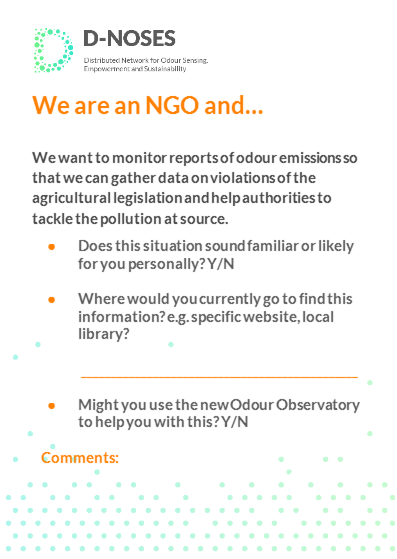 The odour reports are fed into sophisticated dispersion models that include geographical and weather data to trace the odour path to their probable source. 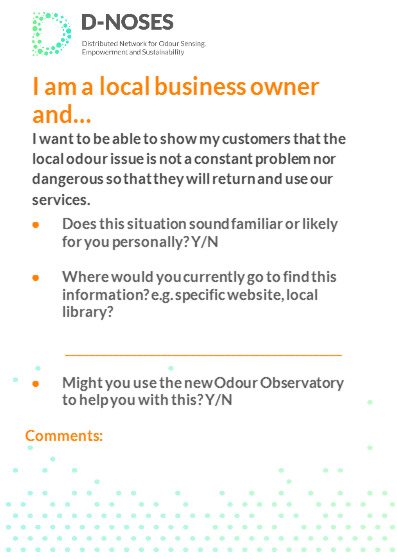 Odour experts can then investigate the activities at the source and suggest ways to resolve the problem. 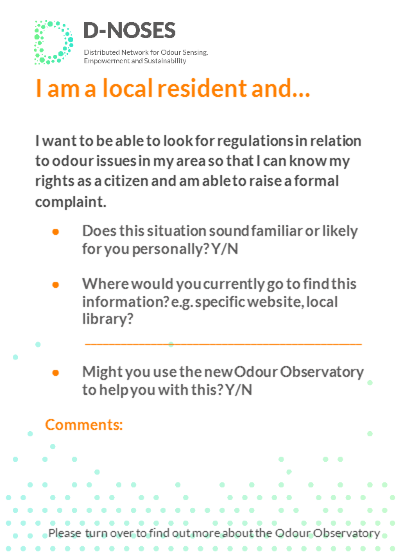 Do you have odour issues in your area? 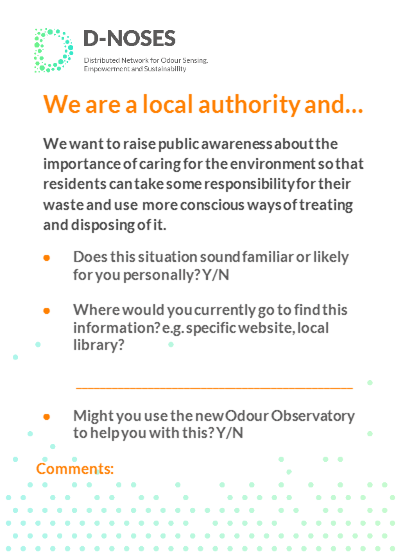 You can now use the Odour Collect app to report them! 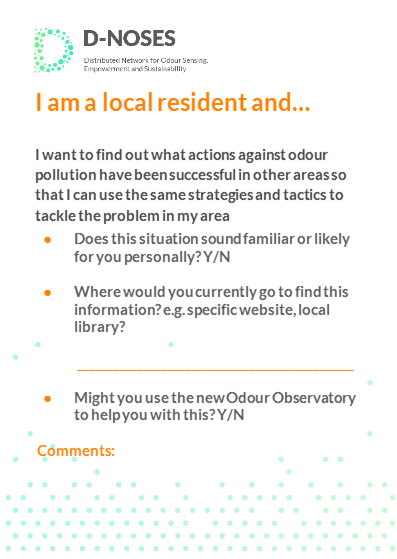 The Odour Collect application is available online and on android phones from the Google Playstore. 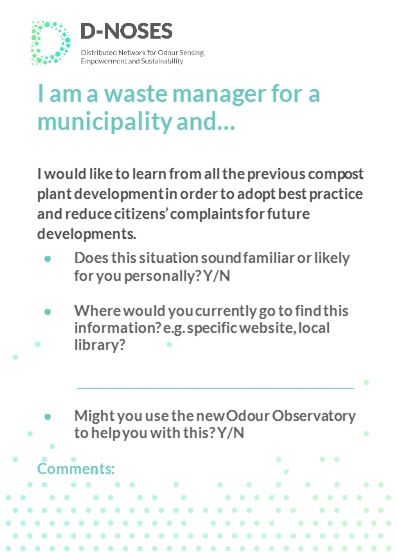 Click here to learn more and start using the Odour Collect Webapp. 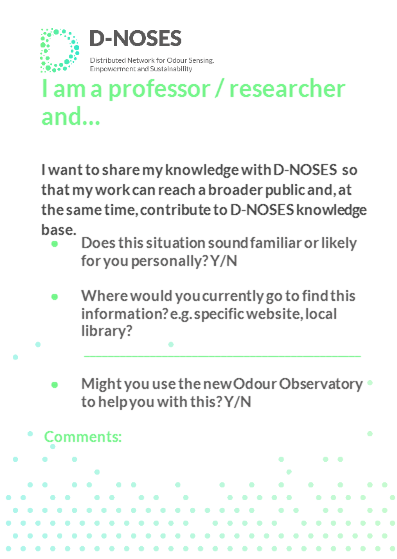 The D-NOSES VideoOdour Collect is here!